NOTE THAT ALL THIS DATA IS RAW DATA. Highest temperature: past 3hours: 37°C, Baghdad, Iraq. Past 24hours: 42°C, Curtin, Australia. Past 72hours: 46°C, Sand island, midway islands, Hawaii, USA. Since March 2007: 53°C, station code: KQXR. Lowest temperature: Past 3hours: -23°C, Eureka, Canada. Past 24hours: -63°C, Amundsen-scott station, Antarctica. Past 72hours: -63°C, Amundsen-scott station, Antarctica. Since March 2007: -98°C, Polyarny, Russia. Thunderstorms: Latest reported funnel/tornado: Minhad Ab, UAE, Today. Latest reported hail: Billings, USA, 5.10. 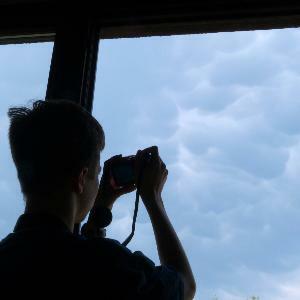 Latest reported mamatus: Daytona beech, USA, 4.10.